Community health centers, which offer primary care to approximately 24.3 million low-income individuals, are known for their high rates of employee turnover because of the stress associated with caring for complex patients on a fee-for-service pay model. But efforts to transform care delivery at these centers to value-based approaches also contribute to workplace dissatisfaction and burnout, according to a new study published in Health Affairs. Researchers found that clinicians and support staff at community health centers working to achieve medical home recognition reported over a one-year period that their professional satisfaction declined by 10% and feeling burned out increased by 8%. More staff members also said they would leave. "Things got worse across the board over a short period of time, which is concerning," said Mark Friedberg, an author of the study and a senior natural scientist at the RAND Corp. The study evaluated workplace satisfaction at 296 centers that were part of the CMS' Advanced Primary Care Demonstration in which the centers were expected to achieve medical home recognition. In the medical home model, primary-care physicians lead a team of professionals—including nurse practitioners, physician assistants, pharmacists, health educators and medical assistants—who take responsibility for providing or facilitating comprehensive, coordinated and accessible care for a panel of patients, looking at the health of the individuals and of the whole group. Team members also work closely with patients to engage them in taking care of themselves. Friedberg said the CMS demonstration centers were particularly targeted because the agency was curious to see how it affected staff as they grappled with delivery model changes. To understand how workplace satisfaction changed over time, Friedberg and his co-authors sent out one set of surveys in 2013 and another set in 2014. In total, 236 clinicians and 328 support staff responded. The study found that overall satisfaction declined from 84.2% to 74.4% and rates of burnout increased from 23% to 31.5%. The number of respondents who said they were likely to leave within two years increased from 29.3% to 38.2%. In addition, the proportion of respondents who said the practice atmosphere was hectic or chaotic rose from 31.6% to 40.1%. In order to achieve the medical home designation, the centers sometimes had to make practice changes that could be stressful, such as upgrading their electronic-health records and taking on a more coordinated-care approach. 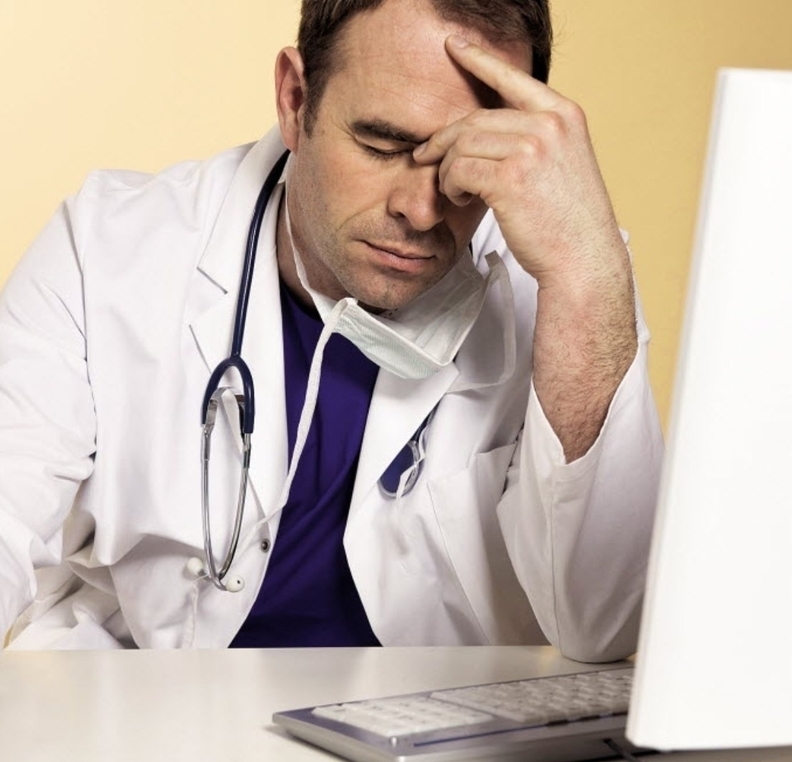 Although Friedberg said it's impossible to know from just the surveys if the CMS demonstration was the sole cause of dissatisfaction or if there were other factors at play, it's important to look at the issues of burnout and dissatisfaction among clinicians as value-based care continues to take hold. "We need to be tackling the kinds of things we surveyed on a more ongoing basis," he said. "As we do things like MACRA, it could make circumstances better or worse for clinicians."